We hoard an ever-growing number of smart devices and entertainment gadgets in our homes. They come in all shapes and sizes, and you can find everything from streaming boxes Chromecast vs. Apple TV vs. Roku: Which Media Streamer Suits You? Chromecast vs. Apple TV vs. Roku: Which Media Streamer Suits You? Media streaming devices are simply awesome. Those little boxes that connect to your TV can add a wealth of entertainment options to your living room. But which device is best for you? Read More to smart lights. As the number of devices grows, so too does the number of apps and remote controls we need to manage and use them all. The proliferation of management apps and remote controls creates issues. 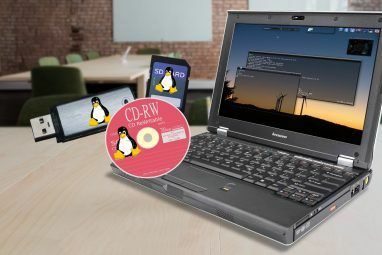 Theoretically, these devices make our lives easier and more streamlined, but jumping around between endless software and hardware is annoying and time-consuming. It’s not conducive to an enjoyable experience. Some companies are offering solutions in the form of universal remote controls. They integrate with a vast number of common devices, thus providing you with a single device for controlling your home. Here are five of the best universal remote controls you can buy. Like any purchase, pricing may drive much of your buying decision. But if you want the best universal remote money can buy Getting the Most Out of Your Logitech Harmony Elite Getting the Most Out of Your Logitech Harmony Elite So you’ve purchased a Logitech Harmony Elite. Here are some of our favorite ways to use the universal remote controller in your home. Read More — and you don’t mind paying for it — look no further than the Logitech Harmony Elite. It works like a cordless phone. The remote connects to a base station (which is also used for charging), and in turn, the base station connects to the smart devices in your home. You can connect 15 devices to one remote. Thanks to its color screen, the device excels in media management. You can set up 50 favorite channels How to Set up Your New Logitech Harmony How to Set up Your New Logitech Harmony Logitech's Harmony controllers are among the most popular in the marketplace. Unfortunately, they've been known to have complicated setups. Read More and the device will display them all on its screen, complete with their logos. The feature works with free over-the-air content What Can You Watch Using a TV Antenna? What Can You Watch Using a TV Antenna? What if there was a cheap, legal way to gain access to many of the big networks? You'd probably lap it up. Well, it turns out there is! Step forward the trusty TV antenna. Read More and cable services, as well as for streaming gadgets like Roku. Non-media devices are also widely supported. They include Amazon Alexa, Honeywell thermostats, August smart locks, Nest Protect, Philips Hue, Samsung SmartThings, and many others. If the Logitech Harmony Elite’s cost puts you off, try one of the company’s cheaper models. There’s a lot of crossover between the Harmony Smart Control and the Elite, but there are also some important differences. Most noticeably, the Smart Control remote doesn’t come with a screen, so controlling your devices is not quite as effortless. Furthermore, whereas the Elite can handle 15 different devices, the Smart Control can only sync with eight. However, both feature the same connectivity options. 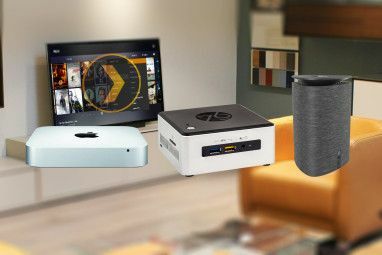 It works with every internet streaming service you can think of, entertainment devices like Sonos and PlayStation, and smart home gadgets like Philips Hue. If you want a device that controls everything, Logitech has the market cornered. Across the company’s product range, there’s something to suit every usage scenario and every price point. But not everyone needs something that can control everything. Despite the recent explosion in smart devices, they remain relatively niche for the population at large. If you just want an all-in-one device for your home theater, save yourself a fortune and pick up a GE Universal Remote Control 34457 instead. It can control four audio or visual devices, including your TV, cable box, DVD player, sound bar, and some streaming devices. The three devices we’ve covered so far all assume you want to move away from your smartphone This Smartphone Trick Could Actually Curb Your Addiction This Smartphone Trick Could Actually Curb Your Addiction If you're looking at your smartphone too much, setting the display to grayscale can help make it less interesting. Here's how to enable a black and white screen on Android and iOS. Read More . Sure, relying on fewer apps to control your devices is nice, but it comes at the cost of introducing a new device to your coffee table. Bluetooth-based PUCK offers the best of both worlds. Just turn the device on, connect it to your devices using the supplied codes, and download the accompanying Android or iOS app. Everything is done through a single smartphone interface. PUCK works with more than 220,000 different devices. It covers TVs, satellite receivers, sound bars, DVD players, air conditioners, heaters, and more. Ultimately, if your device uses infrared, PUCK should work. The Inteset INT-422 4-in-1 Universal Remote is like a cordcutter’s version of the GE 34457. Whereas the General Electric product doesn’t work with devices like Roku and Amazon Fire What's the Best Media Streaming Device? What's the Best Media Streaming Device? Looking for the best streaming device? We've covered four different kinds of streaming devices: Budget, mid-range, high-end, and DIY. Read More , Inteset’s device comes pre-programmed to function with Apple TV, Xbox One, Windows Media Center, and Roku. You can reprogram the buttons. Kodi, Amazon Fire TV, Nvidia Shield NVIDIA Shield TV Review NVIDIA Shield TV Review The proposition is simple: Pack some of today’s best performing mobile hardware into a sandwich shaped box – for streaming video and media, and playing mobile games. That’s why you need to pay $200-300. Read More , Matricom G-Box, and WD TV are all supported. The device also benefits from its macro support. You can add up to 32 commands to a single button. For example, you could make a macro to turn off all your devices or switch to the local news channel. Because the device is so customizable, it ships with a pack of button labels. It means each remote has a truly personal feel. 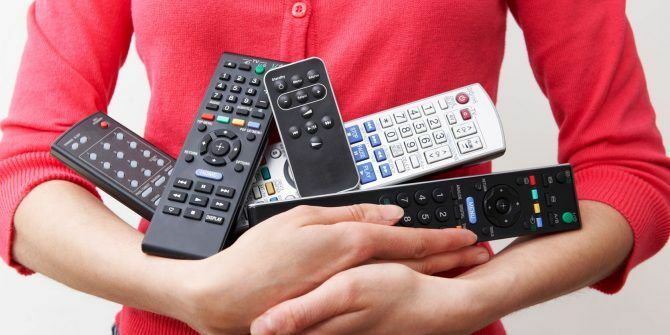 Which Universal Remote Control Will You Buy? We hope this article has helped give insight into the wide variety of devices available. It doesn’t matter whether you’re trying to find a remote that can control every device in your smart home or you’re just looking for an all-in-one solution for your TV and cable box, there’s something out there for you. 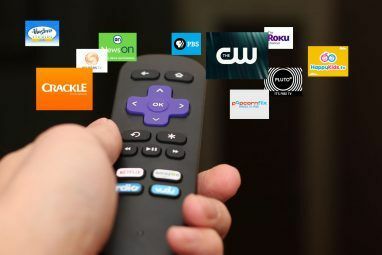 Which universal remote control will you buy? Which features make it stand out? Why does it merit a place on this list? As always, you can leave your thoughts, opinions, and recommendations in the comments below. And remember to share this article with your friends on social media. Explore more about: Buying Tips, Harmony Remote, Remote Control. Remember u get what u pay for!! These cheap prices mean cheap components used. These products are limited in customization and only offers basic functions.